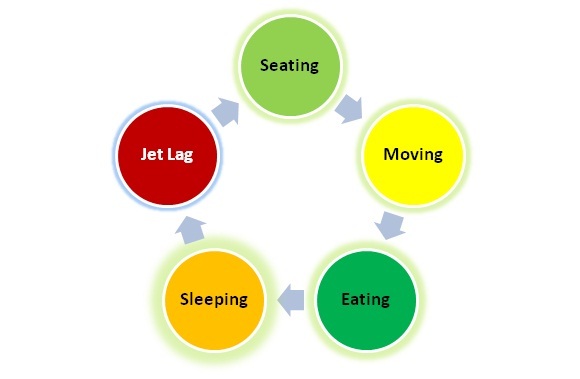 Home > Blog > How to survive a long Haul flights?? How to survive a long Haul flights?? Travel to a distant place is not easy enough to enjoy. Generally people have to book a long haul flight (10 to 12 hrs. or more) for traveling transcontinental or transoceanic. Passenger fears are right for these long haul flights, but following some healthy tips can make you feel easy while traveling. Comfortable seating is of paramount importance during a long haul flight. If you are travelling by plane having three rows pattern, you would better to choose the middle section for your seating as it would help you to move. It is important to keep the blood flowing while sitting for a long time. Starch in your legs while going to the toilet, hang out for a few minutes, and walk down the aisle once or twice. A few days prior to your flight must stick to fairly light and healthy meals so that you would feel easy during your flight. Some people suggest skipping the meal service. It depends upon your own discipline. You may take some snack. Enjoying deep sleep during air travel is very tricky.You are suggested to use eye mask and earplugs for a peaceful sleep.Taking alcohol for helping in sleep is not suggested as alcohol is not only a depressant but a dehydrating agent.Shorting your normal sleep hour before traveling and indulging in tiring work will help you to sleep well during your flight. Try to book a connecting flight it will help you to save restore your energies.To beat the jet lag,flights that have a late arrival are preferred as it is a lot easier to go to bed late than wake up earlier. To tackle with jet lag, change the time setting of your mobile and adjust it according to your tourism place. It is not advised to sleep throughout your flight as it can disturb your internal clock as much. Planning the things in well manner will help you to avoid tension. If you are travelling alone try to take the step which reduces risks. Your arrival and departure at airport would be easier if you book Luton valet parking for your car as it assures the best quality and secure car parking services to travelers.